Most people are familiar with AP, or Advanced Placement courses, but more and more families are learning about the International Baccalaureate, and wondering, what's the difference between the two programs? Here's a review of each program, and an overview of how they differ. AP coursework and exams are developed and administered by CollegeBoard.com and include 35 courses and exams in 20 subject areas. AP or Advanced Placement Program consists of a three-year sequence of course work in a specific subject. It is available to serious students in Grades 10 to 12. The course work culminates in rigorous examinations held in May of the graduating year. The examinations are scored on a five-point scale, with 5 being the highest mark attainable. The course work in a given subject is generally equivalent to a first-year college course. As a result, a student who achieves a 4 or 5 is usually permitted to skip the corresponding course as a freshman in college. Administered by the College Board, the AP program is guided by a panel of expert educators from around the U.S.A. This great program prepares students for the rigors of college-level work. Each year, according to the College Board, more than half a million students take over a million Advanced Placement exams! Each college or university sets its own admissions requirements. Good scores in AP coursework indicate to admissions staff that a student has achieved a recognized standard in that subject area. Most schools will accept scores of 3 or above as the equivalent of their introductory or first-year courses in the same subject area. Consult university websites for details. The College Board offers a series of 8 Scholar Awards which recognize outstanding scores in AP examinations. In order to earn the Advanced Placement International Diploma (APID) students must earn a grade of 3 or higher in five specified subjects. One of these subjects must be chosen from the AP global course offerings: AP World History, AP Human Geography, or AP Government and Politics: Comparative. The APID is the College Board's answer to the IB's international cachet and acceptance. It is aimed at students studying abroad and American students who wish to attend university in a foreign country. It's important to note, however, this is not a replacement for a high school diploma, it is only a certificate. The IB is a comprehensive curriculum designed to prepare students for liberal arts education at the tertiary level. It is directed by the International Baccalaureate Organisation headquartered in Geneva, Switzerland. The mission of the IBO is "to develop inquiring, knowledgeable and caring young people who help to create a better and more peaceful world through intercultural understanding and respect." In North America over 645 schools offer IB programs. The programmes form a sequence but can be offered independently according to the needs of individual schools. The IB Diploma is truly international in its philosophy and aims. The curriculum requires balance and research. For instance, a science student has to become familiar with a foreign language, and a humanities student must understand laboratory procedures. In addition, all candidates for the IB diploma must undertake some extensive research into one of over sixty subjects. The IB Diploma is accepted at universities in over 115 countries. Parents appreciate the rigorous training and education which the IB programs offer their children. What do AP and IB have in common? The International Baccalaureate (IB) and Advanced Placement (AP) are both about excellence. A school doesn't commit to preparing students for these rigorous examinations lightly. Expert, well-trained faculty must implement and teach the courses which culminate in those examinations. They put a school's reputation squarely on the line. It boils down to two things: credibility and universal acceptance. These are key factors in a school's graduates gaining admission to the colleges and universities which they wish to attend. 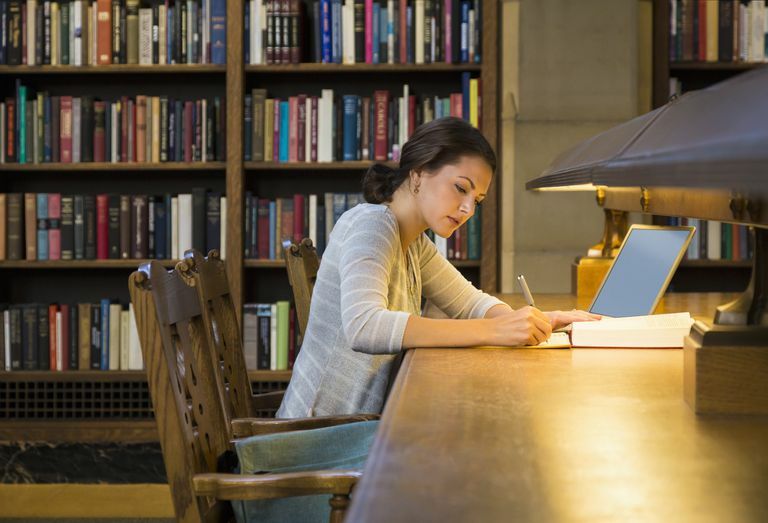 College admissions officers usually have a pretty good idea of a school's academic standards if the school has previously submitted applicants. The school's track record is more or less established by those prior candidates. Grading policies are understood. Curriculum taught has been examined. But what about a new school or a school from a foreign country or a school which is determined to upgrade its product? The AP and IB credentials immediately convey credibility. The standard is well-known and understood. Other things being equal, the college knows that a candidate with success in the AP or IB is ready for tertiary level work. The payoff for the student is exemption for many entry-level courses. This, in turn, means that the student gets his or her degree requirements completed more quickly. It also means fewer credits have to be paid for. How do AP and IB differ? Reputation: While the AP is widely accepted for course credit and recognized for its excellence at universities throughout the U.S., the IB Diploma Programme's reputation is even greater. Most international universities recognize and respect an IB diploma. Fewer U.S. schools offer the IB program than the AP—over 14,000 AP schools vs less than 1,000 IB schools according to US News, but that number is on the rise for IB. Style of Learning and Courses: The AP program has students focus deeply on one particular subject, and usually for a short period of time. The IB program takes a more holistic approach that focuses on a subject by not only delving in deep, but also applying it to other areas. Many IB courses are two-year continuous courses of study, vs. the AP's one-year-only approach. IB courses related to each other in a coordinated cross-curricular approach with specific overlapping between the studies. AP courses are singular and not designed to be a part of an overlapping course of study between disciplines. AP courses are one level of study, while IB offers both a standard level and a higher level. Requirements: AP courses can be taken at will, in any manner at any time according to the school's discretion. While some schools do allow students to enroll in IB courses in a similar manner, if a student specifically wants to be a candidate for an IB diploma, they must take two years of exclusive IB courses in accordance with rules and regulations from the IBO. IB students aiming for the diploma must take at least 3 higher level courses. Testing: Educators have described the difference between the two testing methods as follows: AP tests to see what you don't know; IB tests to see what you do know. AP tests are designed to see what students know about a specific subject, pure and simple. IB tests ask students to reflect on the knowledge they possess in order to test a student's skills and abilities to analyze and present information, evaluate and make arguments, and creatively solve problems. Diploma: AP students who meet specific criteria receive a certificate that has an international reputation, but still only graduate with a traditional high school diploma. On the other hand, IB students who meet the required criteria and scores at schools in the US will receive two diplomas: the traditional high school diploma as well as the International Baccalaureate Diploma. Rigor: Many AP students will note that their studies are more demanding than non-AP peers, but they have the option to pick and choose courses at will. IB students, on the other hand, but take only IB courses if they wish to qualify for the IB diploma. IB students regularly express that their studies are extremely demanding. While they report high levels of stress during the program, most IB students report being incredibly prepared for college and appreciative of the rigor after they complete the program. AP vs. IB: Which is Right for Me? Flexibility is a major factor in determining which program is right for you. AP courses provide more wiggle room when it comes to choosing courses, the order in which they are taken, and more. IB courses require a strict course of study for two solid years. If studying outside of the US is not a priority and you're unsure about the commitment to an IB program, then an AP program may be right for you. Both programs will prepare you for college, but where you plan to study may be a deciding factor in which program you choose.